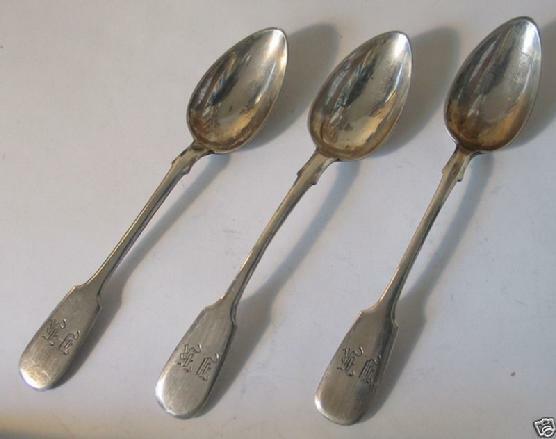 Description: Three solid silver teaspoons from Imperial Russia period. This "fiddle" type pattern is probably the most popular in the world and one of the oldest ones. 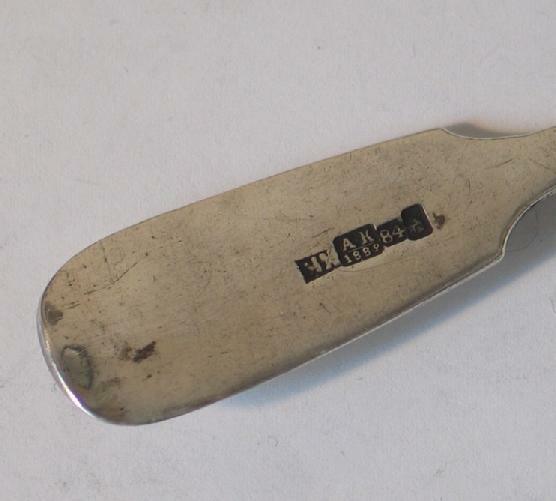 Marked with 84 Russian silver purity mark, Moscow assay mark and maker's mark "IK", for Ilya Kuzmin, a Moscow silversmith in late 19th century. 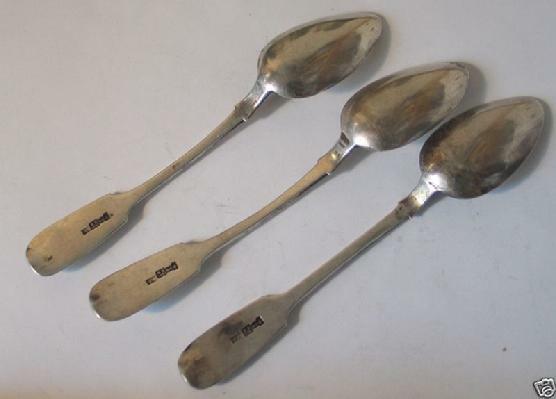 What's interesting is that the spoon is also engraved with the same initials: "I.K." Very good overall condition - see pictures. 5.5" long..